As a vocal Yemini peace activist, Al Samawi was keenly aware of the danger in which he found himself in, indeed, this is explored in memoir style as he recounts how he overcame childhood loneliness arising from disability, heard in taunts such as “Mohammed the maimed” or his own creation of Ana hemar “I am a donkey,” to wanting to explore and learn about other cultures and religions in a more meaningful way. This, we find, is quite difficult in Yemen where there are strict parameters around religion in the predominately Muslim country. 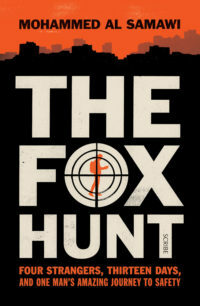 In writing The Fox Hunt Al Samawi offers us a glimpse into Yemen’s social and religious history and the complex ways in which different countries and factions have had their hand in creating and maintaining a “Yemini” identity. Originally published at Right Now.